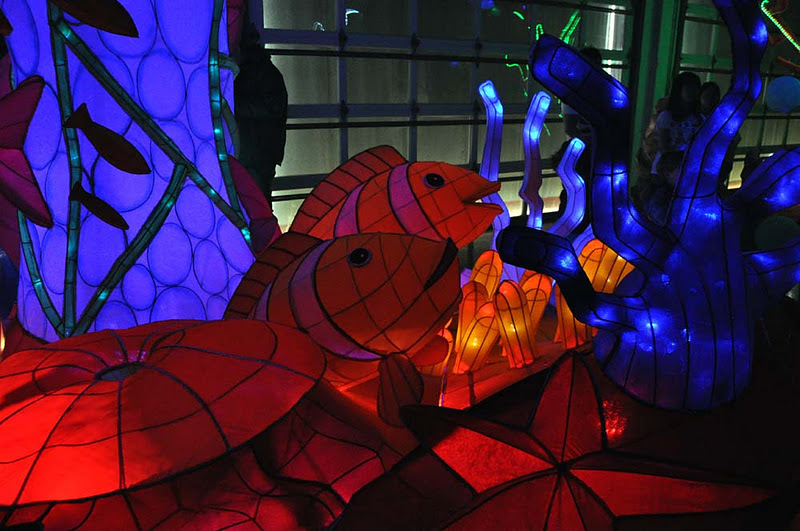 #Toronto @HarbourfrontTO is celebrating the Lunar New Year with the CIBC LunarFest and a big part of the fun is the lantern aquarium. 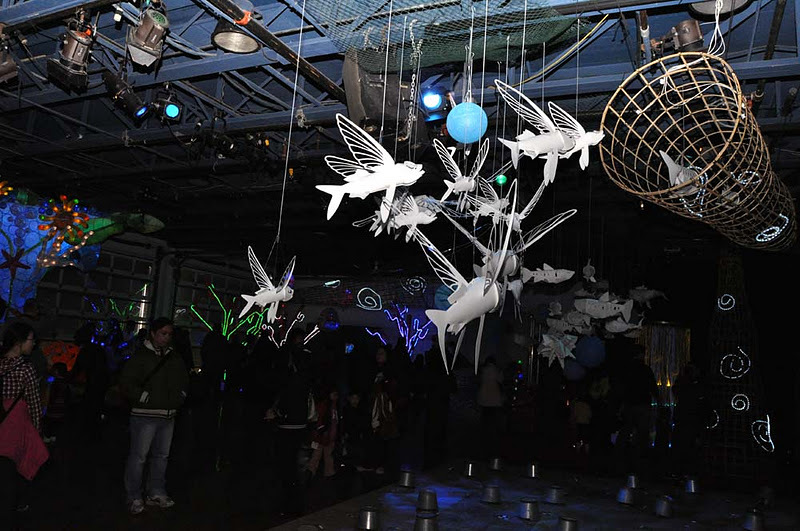 The free Spring Festival is on from Jan 20-24, 2012 so head down to Queens Quay. 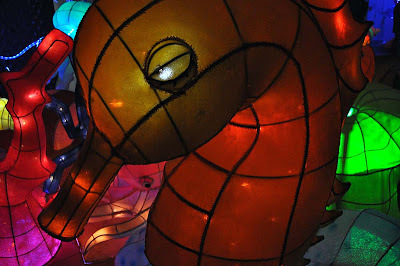 Chinese New Year is on Monday, January 23, 2012 and ushers in the Year of the Water Dragon. I hope I see some fireworks during the Lantern Festival excitement around the city tomorrow as the New Years celebration lasts fifteen days. 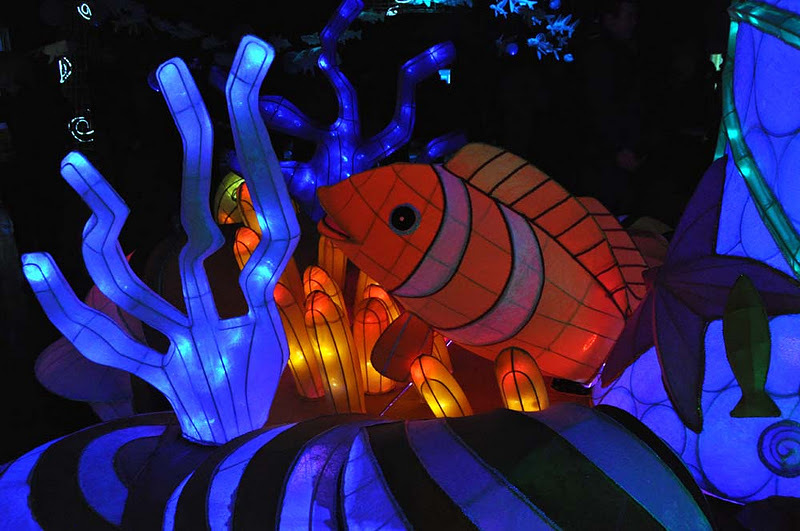 The Harbourfront Centre lantern aquarium is supposed to be the world's first, and was full of floating paper fish, large fabric fish and a giant shark kids could climb into. The large sea creatures used lights inside and black lights outside to showcase the lanterns in the dark room. From the Harbourfront Centre's website "For thousands of years, people have celebrated the arrival of the Lunar New Year; the celebrations become part of the ritual and the traditions become part of their lives. While many traditions are being challenged in today’s social context, one needs to find deeper strength to rationalize those celebrations. 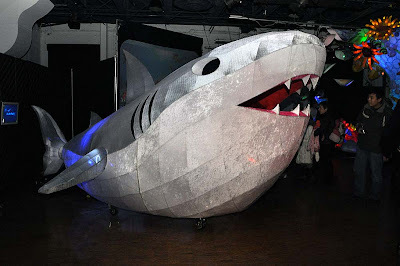 What are we celebrating? 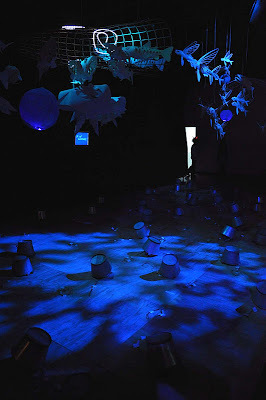 Is it awakening of our own existence? 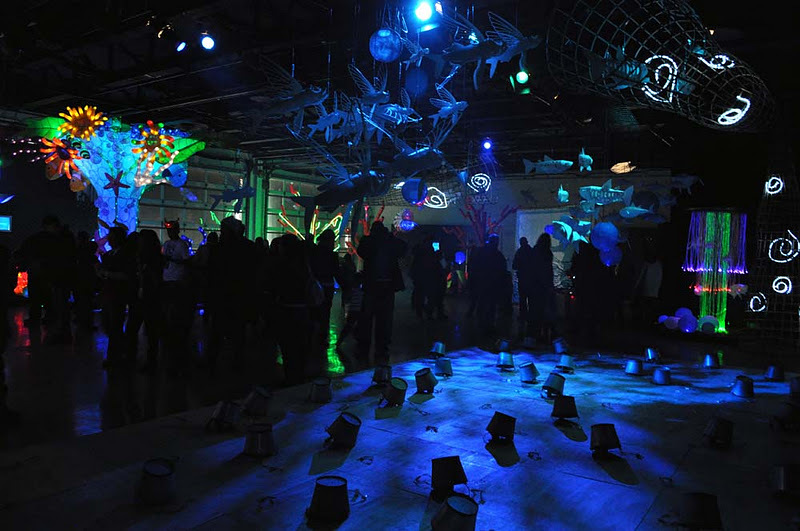 Is it rediscovery of our past? Or is it the new chapter of this ancient celebration? 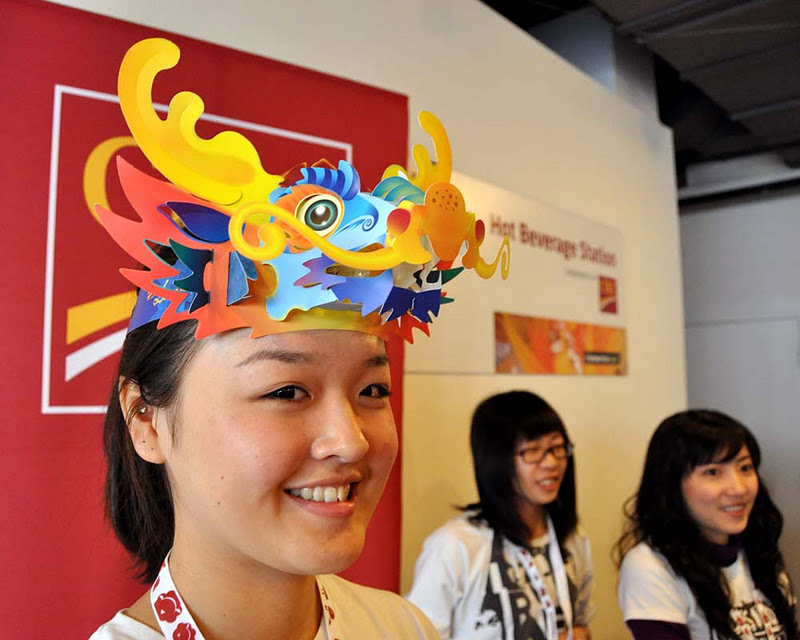 What does Lunar New Year mean to you? CIBC LunarFest is Canada’s premier presenter of contemporary expression in Asian arts and culture. It endeavors to share in the diversity of our country with Canadians both new and old. It also encourages and fosters the collaboration of Canadian and international cultural presenters to create new forms of artistic expressions. 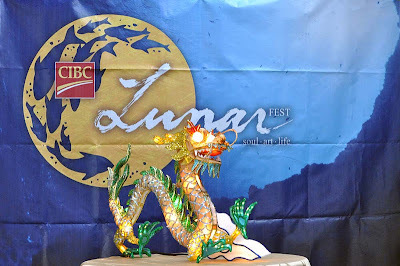 CIBC LunarFest is a festival that brings together soul, art and life on one stage." As Mandarin Restaurant says "Kung Hei Fat Choy! Happy Chinese New Year!" See more photos after the jump.